Outdoor photography. Saturday / 24.11.2018 / Mountain Sports Photography Workshop (Piața Ștefan cel Mare nr. 18) with Alexandru Sava. Access included for FULL PASS owners. The sports photography workshop will be structured in two parts and will include both technical details as well as conclusions from Alex’s personal practical experience in the area. In the first part we will go through the technical aspects and particularities of mountain sports photography, like the necessary gear and accessories and we will learn a few of the basics of photography. In the second part of the workshop we will have an open conversation on mountain sports, the challenges encountered while shooting outdoor sports and ways to overcome them, with examples from Alex’s personal photographic experience. 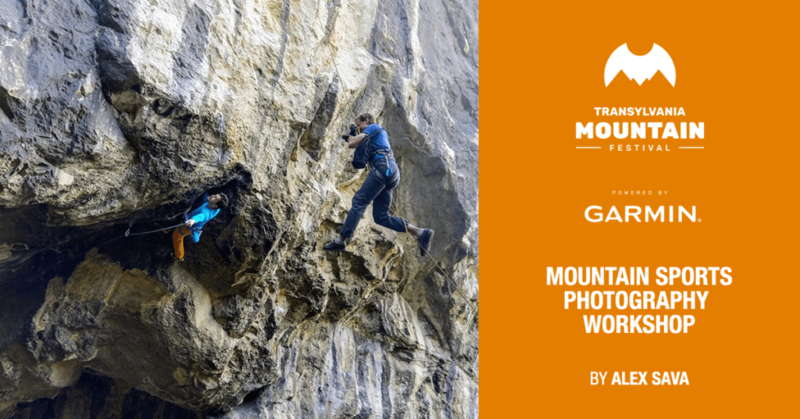 – We will discuss the particularities of mountain sports photography with real examples from Alex’s personal portfolio. ACCES included for FULL PASS owners. Alexandru Sava is a self taught professional photographer who perfected his photography techniques during years of experience. Being also a passionated alpinist, Alex has blended the two areas of his life, photography and adventure, specializing in outdoor sports photography. Through his photographs, Alex manages to capture the dynamics of mountain sports as well as the beauty of natural sceneries in remote areas.